Four years after connecting on To:You, Von Pea & The Other Guys are back with an official follow-up to last year’s full-length release, The Fiasco. 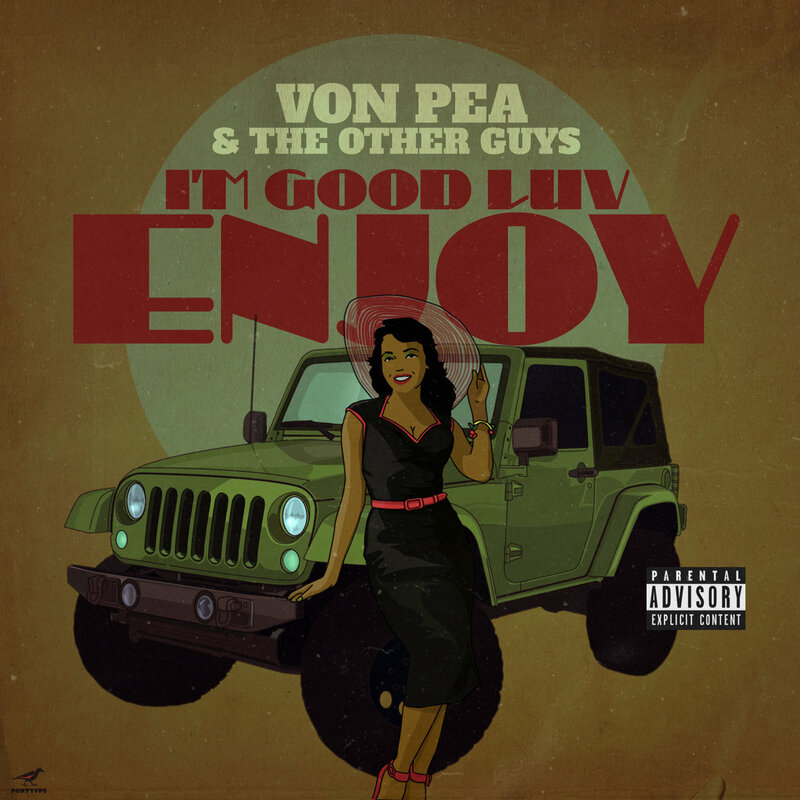 On I’m Good Luv, Enjoy, the Tanya Morgan spitter and DMV production duo come through with a quickstrike EP laced with the soulful samples, hard hitting drums and clever rhymes the trio have been known to deliver. Locked in at five songs (with the instrumentals) — led by “The Twist” with Donwill and “Pardon Me” — the EP also features fellow Lessondary Crew member Rob Cave (or, Spec Boogie). Press play on I’m Good Luv, Enjoy below.